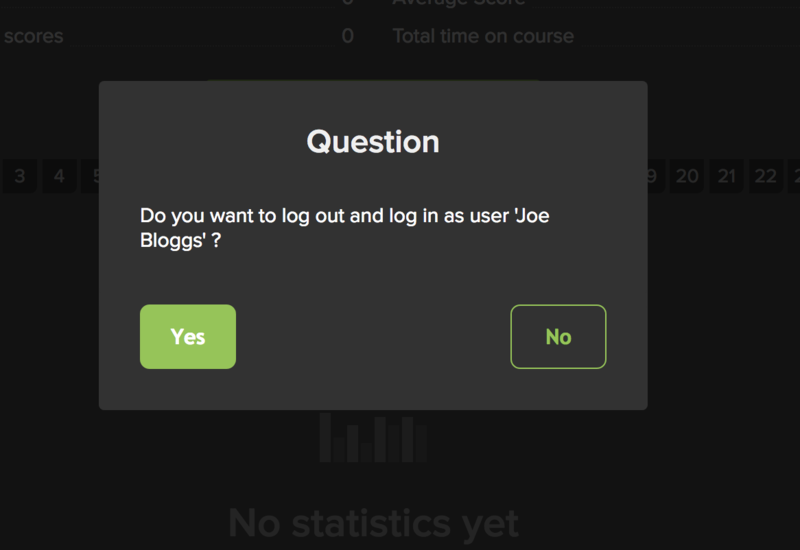 On the Admin account - Click Students on the top menu, click Add new students then click Add manually from the drop down menu. 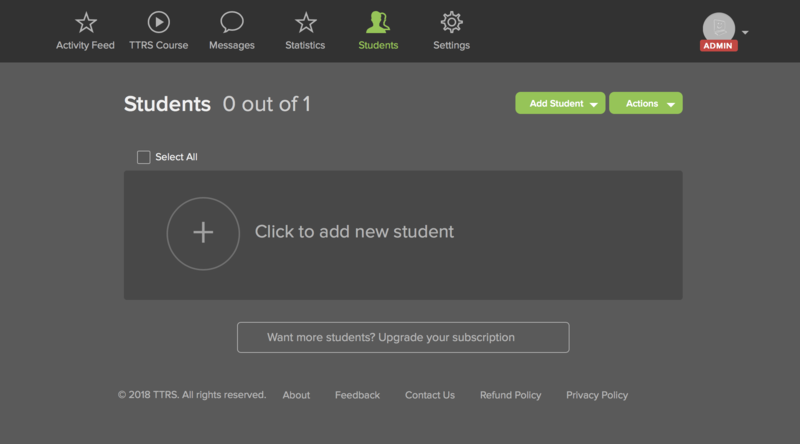 Enter the names of the students you wish to add, then click Add students at the bottom of the page. You will be logged out of your Administrator account and logged in to the Student account. 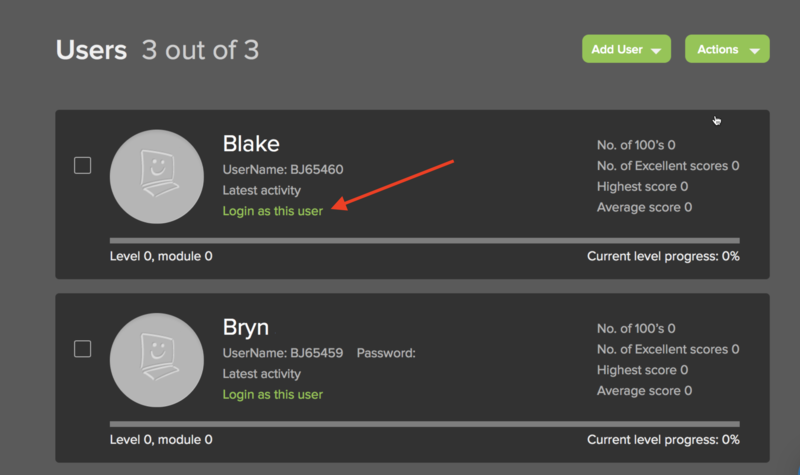 From the Administrator account, visit Actions > Print Passwords on the Students menu to view the log in details of different students. 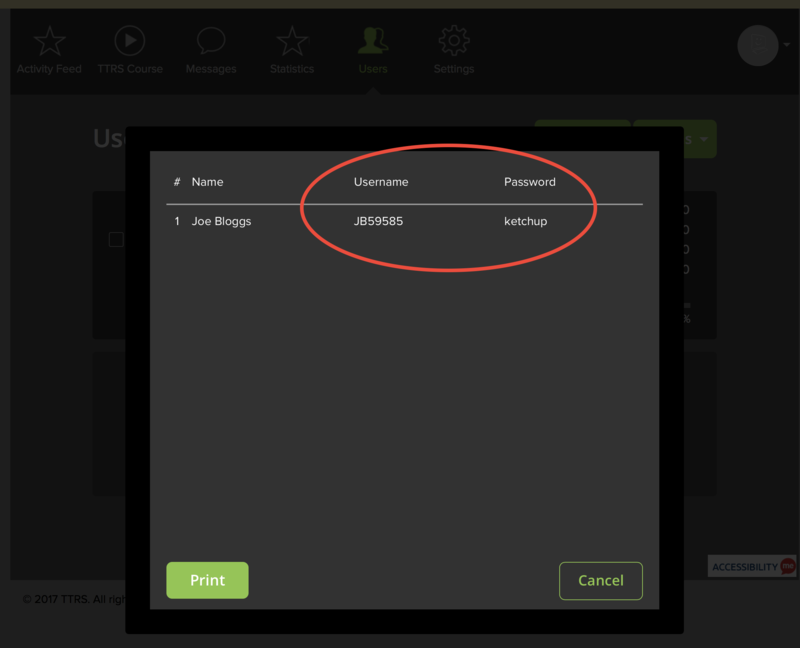 The student can log in using their username and password on a computer visiting www.ttrsonline.com or by downloading the TTRS app for iPads. 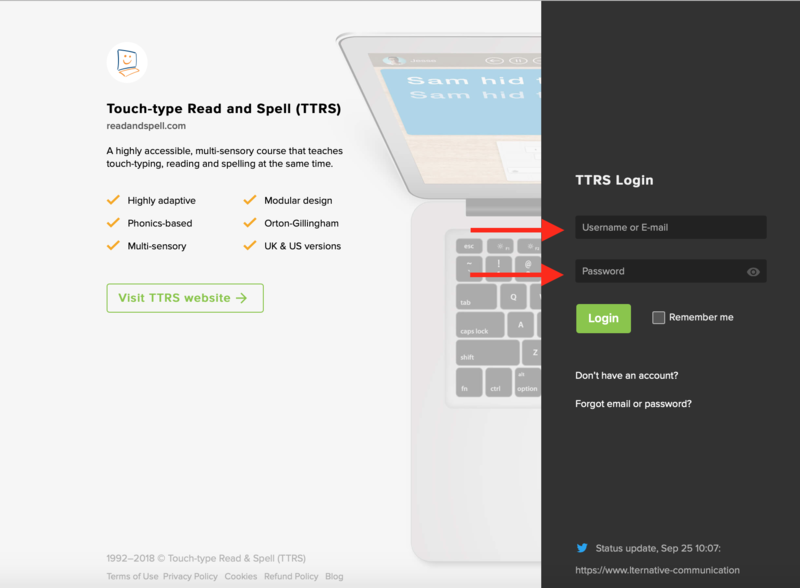 As an Administrator, you will also have full access to the TTRS Course. 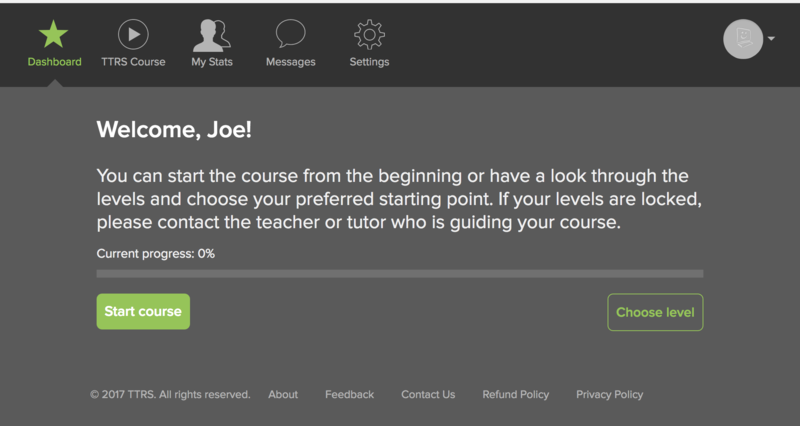 We recommend that parents complete the first 10 modules of level 1 (around 10 minutes) before their students start, to get the feel of the program.